Japan still keeps some cool stuff for itself. Due to the way US crash and emissions regulations were created, American citizens can't just buy a car from anywhere in the world and drive it on our roads. We can import cars once they , but there are plenty of new cars that we'd love to have in the US. We've already covered , but now we wanted to focus on Japanese Domestic Market (JDM) cars. Globalization has brought us a lot of Japan's coolest cars, but there are still a handful that we lust over. It may be a surprise, but the ultimate Toyota luxury sedan does not wear a Lexus badge. In fact, the nicest car Toyota builds isn't even sold outside of Japan. The Toyota Century is a luxury limousine that has been built since 1967. The previous generation car used a V12 engine, but the third generation car uses a 5.0-liter Lexus V8 mated to a hybrid system. Total output is 431 horsepower, and the Century costs the equivalent of $178,000 in Japan. Below the Century sits the Crown - think of it as Japan's cool version of the Camry. The Crown name dates back to 1955, and the car is currently in its 15th generation. Toyota sells the Crown with three engine options: a 2.0-liter turbo-four, a 2.5-liter four-cylinder hybrid, and a 3.5-liter V6 hybrid. The Camry has become much cooler with its latest refresh, but unlike the Camry, the Crown is RWD. Space is at a premium in Japan, which is why many people drive around in miniature vehicles called Kei cars. Most are ugly little people carriers, with engine limitations of 660 cc. This sounds like a complete no-go in the US, but there is a Kei car from Honda that we'd love to have. It's called the S660, and it is the modern successor to the Honda Beat. The S660 only has 63 hp and an 11.7 second 0-60 mph time, but it is extremely light and features an exotic mid-engine layout. Daihatsu no longer sells cars in the US, but the automaker is still going strong in Japan. The company builds a sporty Kei car called the Copen, which we think would be fun to drive in the US. Unlike the S660, the Copen is front-engine and front-wheel-drive. Like any Kei car, the Copen is powered by a 660 cc engine with 63 hp. It may not be fast, but the Copen would still be fun to drive at full throttle and can achieve 59-mpg on the US cycle. It even features a folding hardtop roof. Suzuki is another company that no longer sells cars in the US, but it still kicking in Japan. One of the automaker's most popular cars is called the Swift, a sporty hatchback akin to a Mini Cooper. The Swift Sport doesn't offer hot hatchback levels of performance, but it is still incredibly good to drive. The car is powered by a 1.4-liter turbo-four producing 140 hp. This doesn't sound like much, but the Swift only weighs around 2,200 pounds. Suzuki just revealed its new off-road car, the Jimny. It looks like a miniature Japanese interpretation of a Jeep Wrangler or Land Rover Defender. Though it only has a 101-hp 1.5-liter four-cylinder under the hood, the Jimny still has impressive off-road chops thanks to good ground clearance and 4WD. The Jeep Wrangler has become pretty expensive lately, and we think the smaller, cheaper Jimny could sell well in the US - though would probably need a tougher name. As we discussed in our European list, Americans just don't like wagons. This hasn't stopped us from including two JDM wagons on this list. 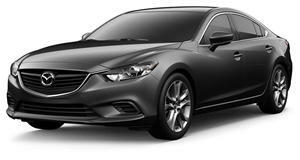 The Mazda 6 is one of the best looking cars in the mid-size sedan segment, but it looks even better as a wagon. The Mazda 6 is called the Atenza in Japan, and of course the awesome wagon variant is available. When Subaru revealed the current generation WRX and STI, it said the sedan would be the only body style. Those liars! Japan has its called the Levorg, and of course we can not buy it here. The name "Levorg" comes from a strange hodgepodge of the words LEgacy, reVOlution, touRinG. In Japan, the most powerful STI Sport version packs a 300 hp turbocharged flat-four, but the only transmission option is a CVT. Mitsubishi once had an incredible lineup with cars like the Eclipse, Evo, Gallant, 3000GT, and Montero. Now the company just builds a few forgettable crossovers. While Mitsubishi's JDM lineup isn't much more exciting, the company does sell the Pajero, which was rebadged as the Montero in the US. This kind of tough, off-road capable SUV is the type of model we have come to miss in the US, thanks to the popularity of car-based crossovers. Mitsuoka is one of Japan's strangest automakers. The company has never sold cars in the US, but some of its models like the Orochi have gained popularity from appearances on Top Gear. We are all familiar with the Fiat 124, a rebadged version of the Mazda MX-5. Mitsuoka also sells a rebadged version of the MX-5, but it is a lot more radical than the Fiat. It's called the Himiko, and it looks like a shrunken down Morgan or Weissman. Since it's based on a Miata, the Himiko probably drives well, but it does weigh over 300 pounds more.